The awe-inspiring Alps are home to the National Park of Berchtesgaden and its amazing vistas. Salzburg's "Old Town" is internationally renowned (UNESCO World Heritage Site) for its baroque architecture and is one of the best-preserved city centers north of the Alps. The city was the birthplace composer Wolfgang Amadeus Mozart and the setting for the musical play and film The Sound of Music. 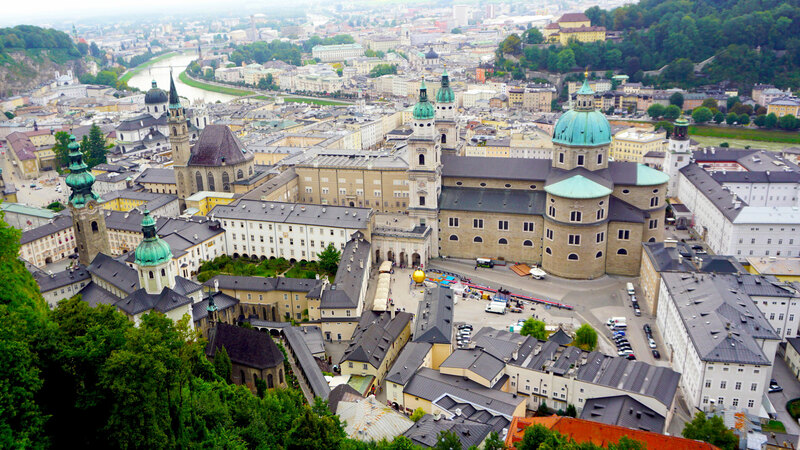 Attractions include the Getreidegasse, Salzburg Cathedral, Mozart's birthplace and many of The Sound of Music locations. Heidelberg captures the heart of the international tourist. It’s charm and character are found in the architecture, culture, entertainment, cuisine and picturesque setting between Neckar River and the foothills of the Odenwald forest. 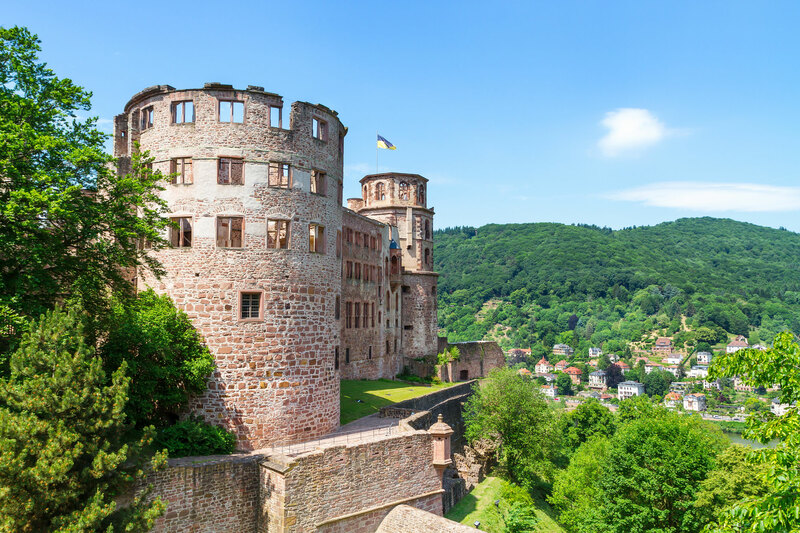 The main attraction is Heidelberg Castle on the slopes of Mount Königstuhl some 70 meters above the Neckar. The castle combines with neighboring buildings and the Old Bridge to offer one of the most impressive sights in Germany. 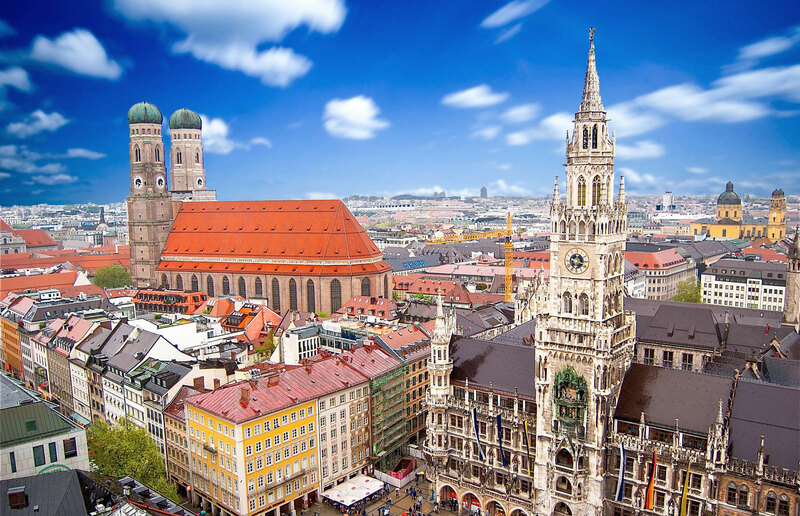 Munich is a lively city – a perfect blend of traditional and modern. Highlights include Hofbräuhaus, Marienplatz, Ludwigstrasse and the majestic Opera House. The city is home to numerous galleries, museums and shops. The adventurous traveler may want to visit the nearby (and moving) Dachau Concentration Camp Memorial Site. “New Swan Castle,” built in honor of world-renowned composer Richard Wagner, is one of the most popular tourist destinations in Europe. 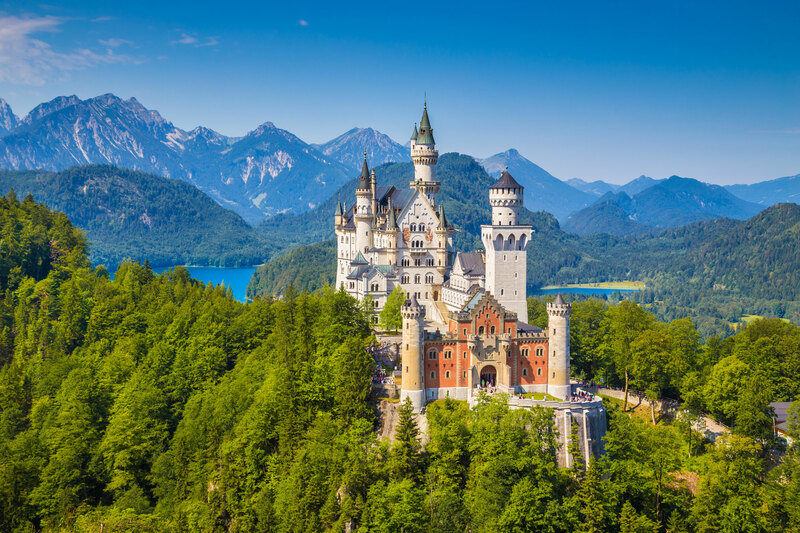 Located in Bavaria, near the town of Fussen, it was constructed by King Ludwig II of Bavaria, also known as the “Fairytale King.” Wagner’s characters inspired many rooms in the castle’s interior. The third floor in particular reflects Ludwig’s admiration of Wagner’s operas. Singers Hall, occupying the entire fourth floor, contains characters from Wagner’s operas. The quaint European village of Oberammergau is internationally famous for the spectacular Passion Play – the world’s most important – performed solely by its residents once every decade. Keeping a pledge made nearly 400 years ago, when God spared the village from the ravages of the Black Plague, the story follows Jesus from his triumphant entry into Jerusalem through His trial, crucifixion and Resurrection. 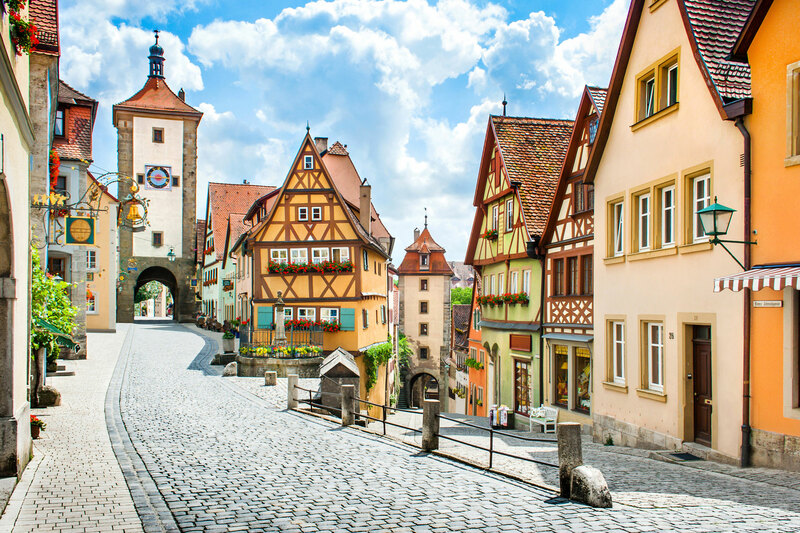 Rothenburg ob der Tauber on the Romantic Road is an international symbol of German romance. Artists have long taken inspiration from the unique location of this medieval town with an unmistakable skyline of 42 gates and towers. Set amidst beautiful, unspoiled countryside, the town wall and medieval fortifications that surround the historic center are mainly intact. The city is notable for its winding alleyways, artistic treasures, picturesque town hall and St Jacob’s church. The “City of Music” is also known as “The City of Dreams,” home to Sigmund Freud, the world’s first psychoanalyst. Vienna played an essential role as a leading European music center from Viennese Classicism through the early part of the 20th century. The historic center is rich in architectural ensembles, including Baroque castles and gardens and the late-19th-century Ringstraße lined with grand buildings, monuments and parks. 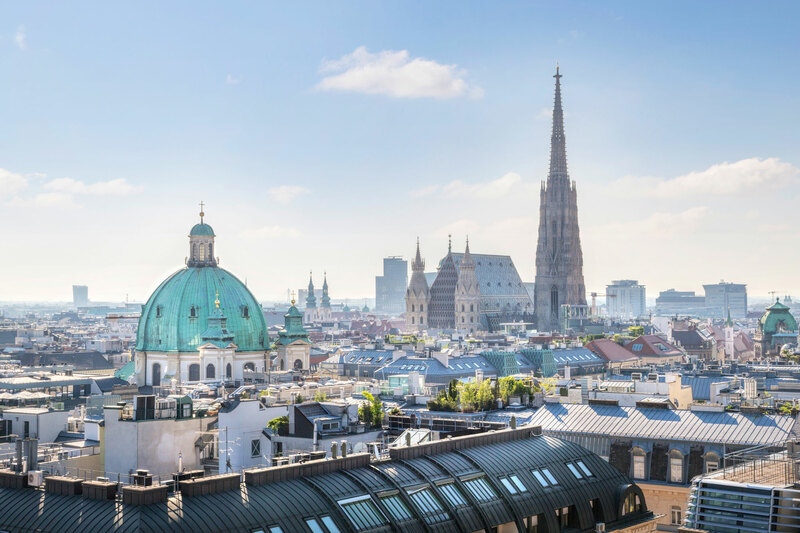 Other attractions include the Habsburg royal collection of art at the Kunsthistorisches, Opera House, Hofburg Palace, Parliament and St. Stephen's Cathedral. Picturesque Villach is an ancient city, dating to Roman times (know as Santicum). It captivates visitors with an easy-going, Mediterranean lifestyle – perfect for gourmets, art lovers, shopaholics and those seeking relaxation. The Lipizzaner Stud farm at Piber offers cultural insight into the breeding of the athletic white stallions for the Spanish Riding School. In Graz one can admire the galleried courtyards and Renaissance squares.